Sea Otter Cove is a story that teaches children how to use diaphragmatic breathing to calm down, lower stress, and control anger. Children love to experience belly breathing with the playful sea otters and sea child. This self-calming breathing technique can help your child to self-soothe, relax, and manage anger. 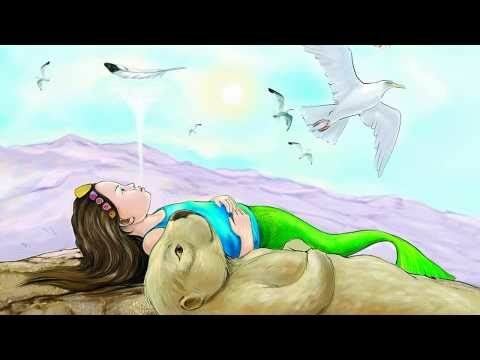 Children love to experience belly breathing with the playful sea otters and sea child. This effective, self-calming technique also known as diaphragmatic breathing or deep breathing can have a positive impact on your child’s health. Focused breathing can lower stress and anxiety levels. It can be used to decrease pain and anger. Delightful characters and this easy breathing exercise will encourage your child to slow down, relax, and fall asleep peacefully. If you enjoyed the classic A Boy and a Bear for younger children, you will love Sea Otter Cove. This story is ideal for older children or those with a longer attention span. Sea Otter Cove is also featured on the Indigo Ocean Dreams Audio/CD. It is also available in several eBook formats. Breathing is a simple and effective relaxation and anger management technique. It is usually the first technique therapists and yoga experts will teach for calming the mind and body. Learning to breathe in this way can change your child’s life. Breathing can become a tool your child can access at any time and any place. Every child has a different emotional maturity, attention span, and need. While the stories are best suited for ages 6-12, do not let this be your primary reason for selecting. You know your child best and remember this is not about the reading level. The focus is on the actual techniques.